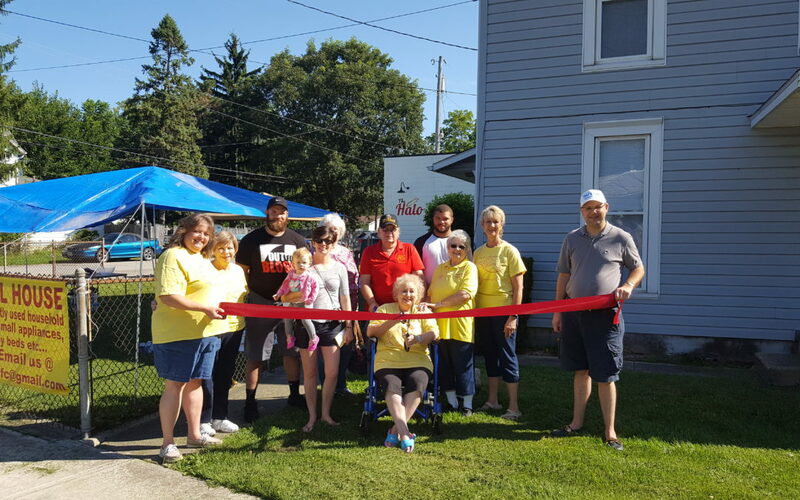 The Wilmington-Clinton County Chamber of Commerce celebrated the opening of the Angel House Maternity Home at the Angel Fun Day Fundraiser on Saturday, August 5th. The Angel House is open to all homeless, single, pregnant young women who need assistance. We are a non-profit maternity home entity that will offer shelter to homeless, pregnant young women to reside and to deliver their babies in a safe, caring, and nurturing environment. We will offer training in everyday living, child care, peer counseling, direction to available resources, help and encouragement for continuing education. We will offer assistance and guidance to enable residents to make better choices in the future for themselves and their children. We will offer adoption options and assistance and guidance with plans, if requested. We will offer spiritual guidance, if requested. Learn more about the Angel House by contacting aamhfc@gmail.com or (937) 283-7976.